Bear with me for a bit of factual information courtesy of the world wide web. In 1967, American sociologist Stanley Milgram devised a new way to test the theory, which he called “the small-world problem.” He randomly selected people in the mid-West to send packages to a stranger located in Massachusetts. The senders knew the recipient’s name, occupation, and general location. They were instructed to send the package to a person they knew on a first-name basis who they thought was most likely, out of all their friends, to know the target personally. That person would do the same, and so on, until the package was personally delivered to its target recipient. Although the participants expected the chain to include at least a hundred intermediaries, it only took (on average) between five and seven intermediaries to get each package delivered. 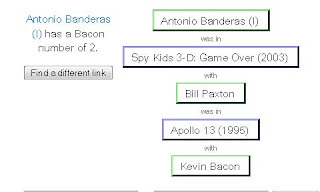 Six degrees of separation became an accepted notion in pop culture after Brett C. Tjaden published a computer game on the University of Virginia’s Web site based on the small-world problem. Tjaden used the Internet Movie Database (IMDB) to document connections between different actors. Time Magazine called his site, The Oracle of Bacon at Virginia, one of the “Ten Best Web Sites of 1996.”In 2001, Duncan Watts, a professor at Columbia University, continued his own earlier research into the phenomenon and recreated Milgram’s experiment on the Internet. Watts used an e-mail message as the “package” that needed to be delivered, and surprisingly, after reviewing the data collected by 48,000 senders and 19 targets (in 157 countries), Watts found that the average number of intermediaries was indeed, six. Watts’ research, and the advent of the computer age, has opened up new areas of inquiry related to six degrees of separation in diverse areas of network theory such as as power grid analysis, disease transmission, graph theory, corporate communication, and computer circuitry. Okay, now that you did some learning, here is the fun part. If you do not believe any of the above scientific information, check out this site. 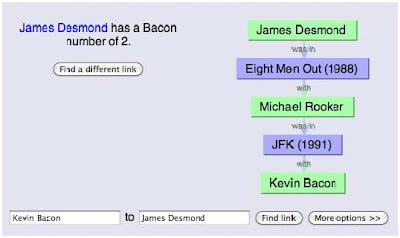 Enter any stars name and it will tell you how that star is connected to Kevin Bacon in 6 “steps”or less. Let me know who you choose and how many degrees. The funny thing is that over 80 years from when Frigyes Karinthy first wrote his short story,”Chains”, little did he know of the Social Media Revolution of 2010. They say that with Facebook, Twitter, Linked In, etc. the separation gap has actually closed to 3 degrees. It actually happened to me today at work. I met a NEW FRIEND that is related to an OLD FRIEND. I will tell you about this in May. But in the meantime, watch this great Kevin Bacon commercial to further prove my point. On a side note, is he embroidering?! Enjoy! I recieved the following e-mail from Kate Spain this morning. I asked her if I could share this with you. Small world! So Kate’s father is 2 degrees from Kevin Bacon also. What fun! Thanks Kate for adding to my mindless entertainment. I put in Reese Witherspoon, Morgan Freeman, Tommy Lee Jones and some others. 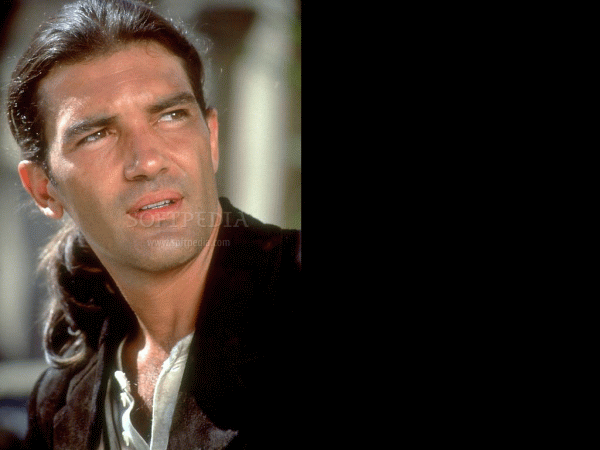 All were 2 degrees if I remember right except for Tommy Lee Jones. They were in JFK together. Kevin Bacon must be quite the guy…. good for him to have such a sense of humor about himself and his infamous "six degrees". We have to wait until May?? Yeah, my mom and I first tried this years ago… She picked Elvis because she thought it was an impossible one… Way less than 6 though. I think it was only 2. Can't remember exactly… Very interesting though. I've always heard the theory "6 degrees of Kevin Bacon," but never knew it was based on scientific studies. Very interesting, thanks for sharing! 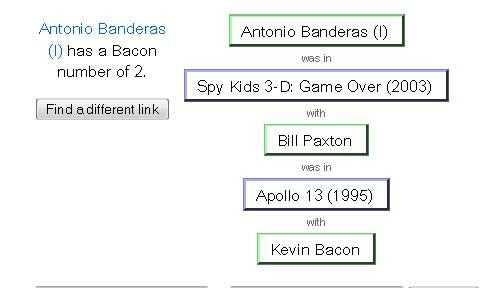 I checked the actor Gale Harold and he was a Bacon #2! I was shocked. PS I've always used this theory to remind myself I'm thisclose to knowing/marrying Colin Firth. I'm happy to know that I'm even closer now. We are finding this to be so true in our new store. We had a great little story happen just last week. http://jellenshouseoffabric.blogspot.com/2010/11/cutest-customer.html. 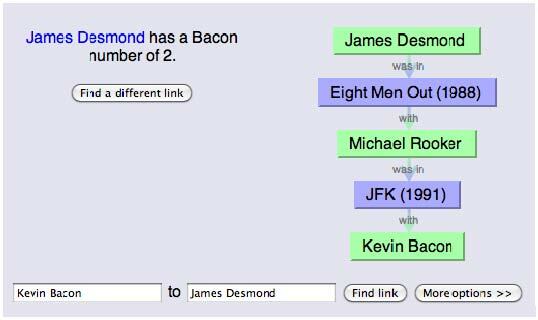 So I came back to give this a try…I chose Wayne Newton because my Dad knew him…he also had a Bacon number of 2! Love the connection Kate shared too…really amazing!